School is out, summer has begun, we’re getting ready for Polk County Fair, and we miss our Joshua Leo a ton! Out on the farm there are signs of Joshua, everywhere! Listening to my siblings play together, I sometimes swear I hear him too. There are always simple reminders that he is still with us. As we think about Polk County Fair, we think about different this year is going to be. Joshua lived for this! As you know, if you personally knew Joshua, he loved 4-H and everything about it! 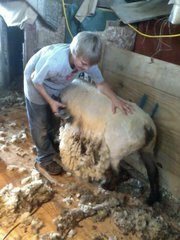 Our family has decided to sponsor some of the Sheep Shows this year, in memory of Joshua. Thinking back on last year, which was my last year to show, I think about him a lot. Joshua told me to do Showmanship, and that I better get a big trophy, because he had already gotten one from the Tractor Pull. I laughed at him and said fine, I will. So, there I went, all sweaty from showing in the first class of the morning all the way up until then. I can remember how hot it was and how he was standing right up against the fence watching so closely to keep learning how to show. Well, I did it. I won the Senior Showmanship trophy my last year of showing at Polk County Fair. The community that we live in is all about giving back. That is why we have decided to give a few lambs that would have been Joshua’s to other 4-Hers, to house livestock for them, and to sponsor some classes. Though this summer will be hard, it will keep bringing us all together closer than ever before. If anyone has the chance to come out to the Polk County Fair, I invite you all to do so. It is held at the Iowa State Fair Ground from July 18-23rd. The Sheep Show is held on Sunday July 22nd. My other brother, Jessi will be showing, along with other friends. 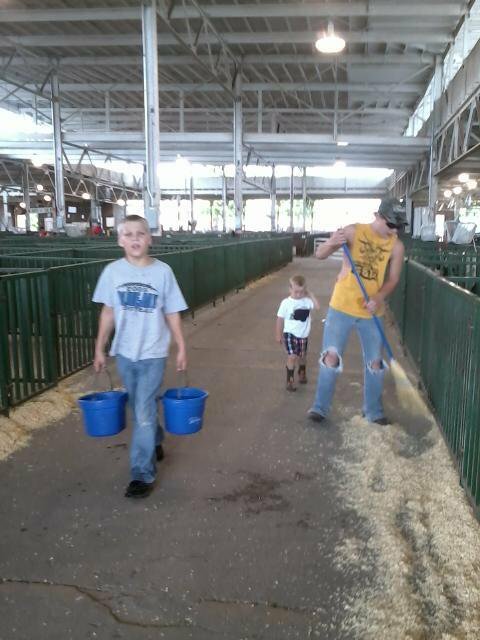 The 23rd is when the 4-Hers sell their livestock that they have worked with hard all year. Come support them! Keep doing your part of helping spread the awareness. You never know whose life you could be saving. All it takes is to share this site with family, friends, or future friends. Or, to just tell Joshua’s story and bring it up somehow.